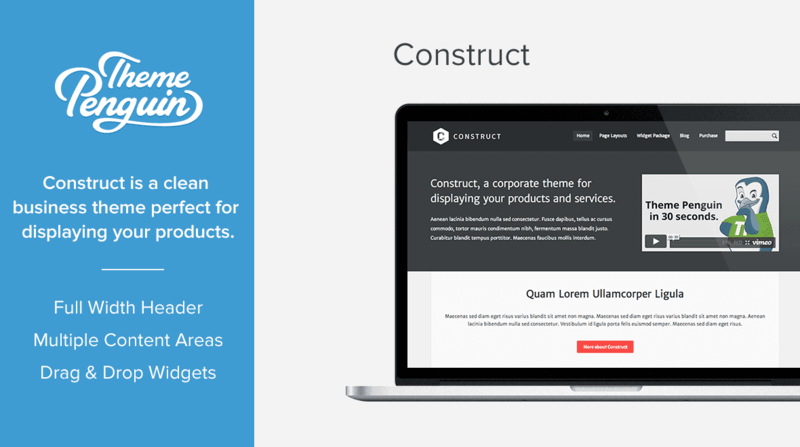 A sleek and simple agency theme designed to showcase your creative talent. Branch comes complete with a fullscreen, fully editable header, fixed navigation and sidebar layout. All themes are built on the PenguinFramework, a bespoke, structured code-base. The framework means each theme is packed with awesome features designed to work out of the box. A set of meticulously designed features including, buttons, tabs, toggles, boxes and more. Choose from one or more page layouts, varying from portfolio pages, full width and tall header functionality. All themes follow the same, consistent structure with single line notation and commented elements. Toggle Weebly's social media elements on or off and create external links to your social media profiles. Google Web Font integration provides greater flexibility with enhanced modern typefaces. Drag and drop text, images and more into a pre-defined footer area with site-wide functionality. Theme Penguin's themes have an integral and class appeal making them the perfect choice for sites needing a professional look. It is nice to see a different set of themes being available for Weebly users. There are many third-party theme providers out there, and ultimately whichever one you choose will come down to personal preference, but for my money, ThemePenguin is head and shoulders above the rest. I wouldn't hesitate to use them again in the future, and I recommend them without reservation. Kudos on a job well done! I am thrilled to find Theme Penguin. The themes are slick, clean and easily customizable for my client's websites. They're the perfect platform for me to offer great design work and help my clients represent themselves best. Theme Penguin offers gorgeous design and I am very happy with the result. The support I received was second-to-none and I feel well supported as I continue to build my great-looking site.